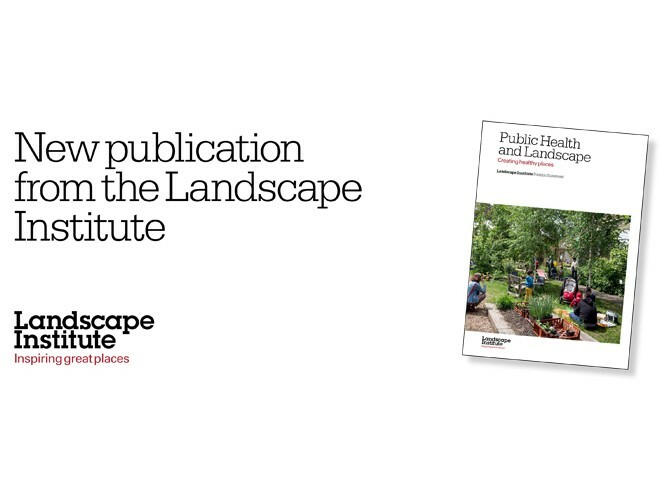 A new position statement from the landscape institute that is aimed at public health professional and at policy makers. I do hope it becomes ingrained into some of the decision makers minds in local authority’s and at central government. Well design spaces can improve moods and general well being as we are all sensitive to where we live, work and play. Kids spend far too long in doors on computers etc and have inspiring parks, towns and associated public spaces can bring people together in a positive way that is beyond any kind of therapy or contrived government policy. Subsequently working on health care projects it still amazes me how little effort is really put into rehabilitation from the surrounding architecture and landscape? Budgets will rule the day, but being short sighted and not investing in the environment increase costs of the long term care and additional funding for patients that don’t improve or recover as well as they could. Called ‘Public Health and Landscape – Creating healthy places’, it is aimed primarily at public health teams and at policy makers. There will be a launch event on Tuesday 12 November. 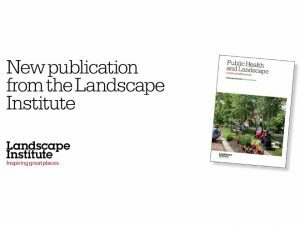 The document makes the point that with rising health costs (the NHS’s share of GDP has risen in the past 50 years from 3.4 per cent to 8.2 per cent), investing in landscape in ways that can influence public health is cost effective. It quotes a 2012 study by the Canadian Public Health Association which shows that it is 27 times more expensive to achieve a given reduction in cardiovascular mortality through clinical interventions than through public health measures. 1. Healthy places improve air, water and soil quality, incorporating measures that help us adapt to, and where possible mitigate, climate change. 2. Healthy places help overcome health inequalities and can promote a healthy lifestyle. 3. Healthy places make people feel comfortable and at ease, increasing social interaction and reducing anti-social behaviour, isolation and stress. 4. Healthy places optimise opportunities for working, learning and development. 5. Healthy places are restorative, uplifting and healing for both physical and mental health conditions. The document spells out in detail what each of those principles means and how to address them, and then uses a number of case studies to illustrate each principle in turn. • Dr Val Kirby, landscape architect and Chair of the Landscape Institute’s Public Health Working Group. A limited number of seats is available to LI members. Book here.